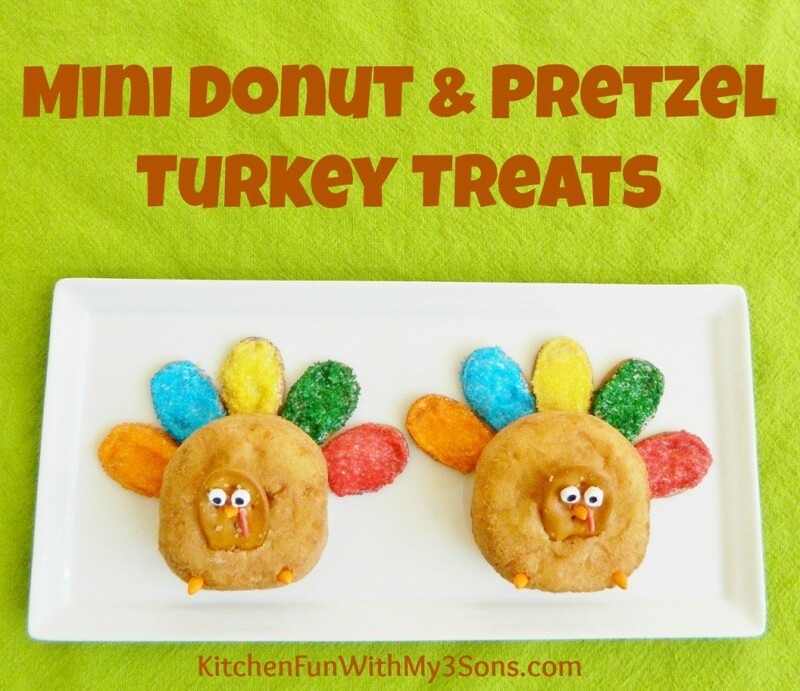 We came up with these fun Thanksgiving Mini Donut and Pretzel Turkey Treats today! 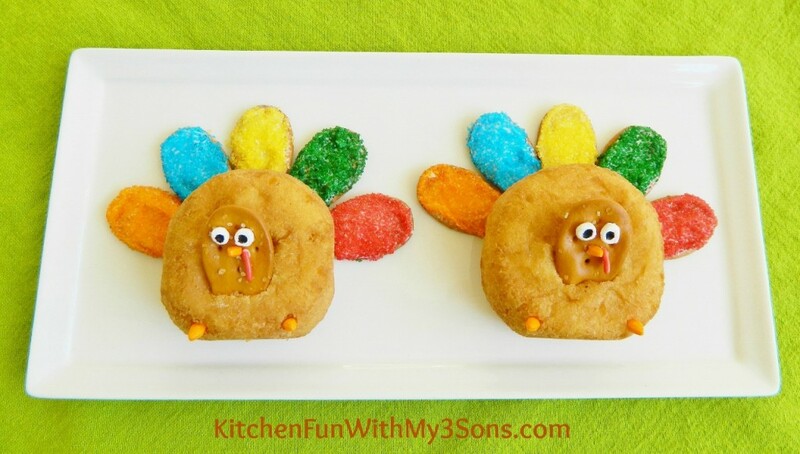 These would be super cute for Thanksgiving class parties at school and they are so easy to make! Start out by breaking your pretzel spoons in half. Add white frosting to the tops of 5 pretzel halves. 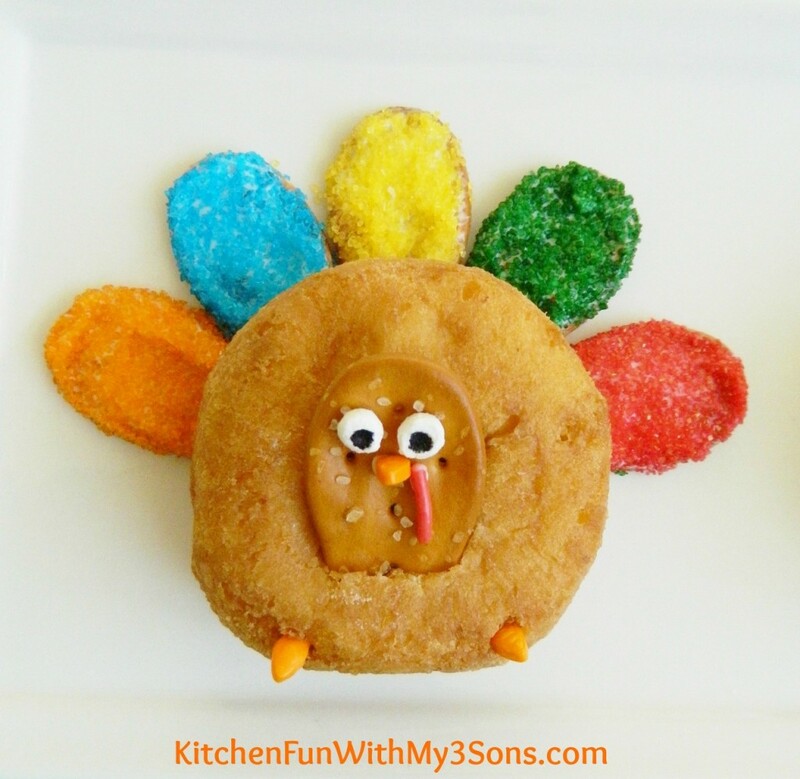 Pour colored sprinkles in different small bowls. Dip your frosted pretzel halves in the sprinkles. Press them in the top of the mini donut. Take another pretzel half & press it on the front of the mini donut. 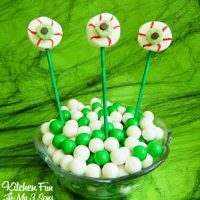 Cut a marshmallow bit in half & press edible black marker in the middle for the pupil. 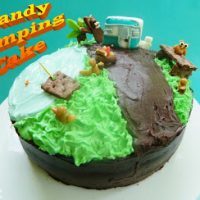 Attach the marshmallows eyes & sprinkles on the front for the face using the frosting. Press in orange sprinkles on the bottom for the feet. 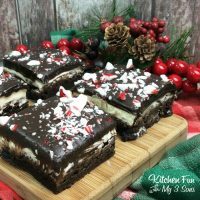 We had so much fun making these & my boys loved all of the colors! 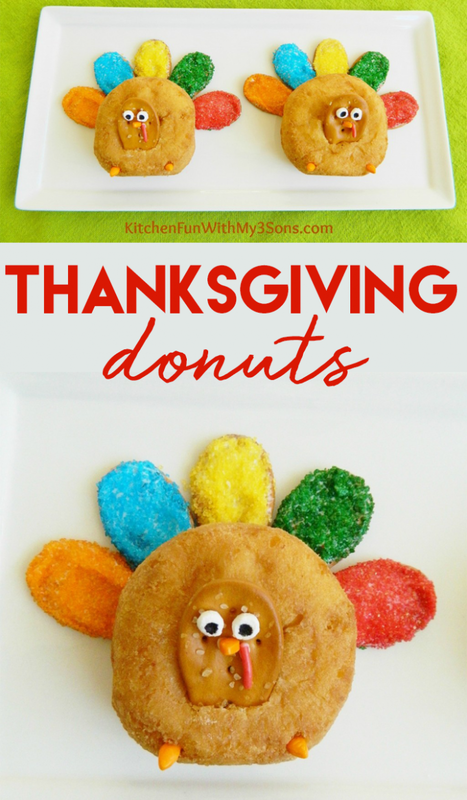 If you like our Thanksgiving Mini Donut and Pretzel Turkey Treats…make sure to check out our other Thanksgiving fun food ideas HERE!